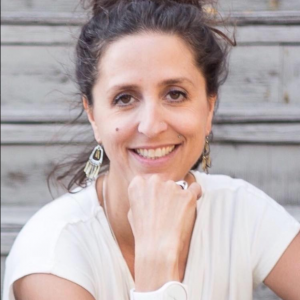 Shyloe Fayad is Okanagan based and the CEO of Radical Wondering Collective. She is an Essential Oil user since in the late 90’s and now an educator, in this article she discusses Essential Oils, what are they made up, their proper uses, and why they are essential in our household and daily lives. 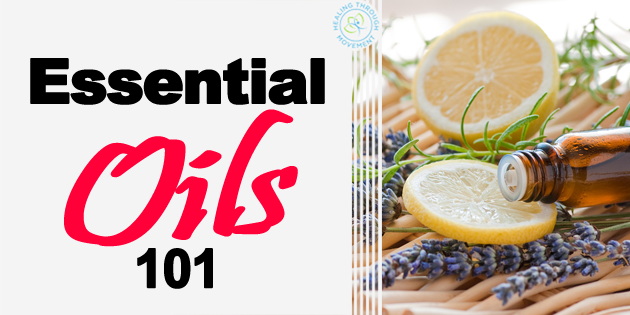 Essential Oils: 101 – What? How? Why? The most important thing to know about Essential Oils: what they are and their purpose. It is very important to understand how useful they are and how they complement your health and overall wellness. Essential Oils have been around for very long time and have been used for physical healing, spiritual, and emotional components. An Essential Oil is the aromatic oil obtained through the distillation process of a plant. In the distillation process they will either use the leaves, flowers, stems, or the root of the plant to distill this Essential Oil. When an Essential Oil is distilled out of the plant, what is left with is a concentrated and volatile substance made up of chemical compounds called: esters, terpenes, sesterterpenes, monoterpenes. These chemical compounds each have specific functions that can affect our health and wellness in a positive way. However, not everyone will have the same reaction with Essential Oils. Essential Oils have an important function in the plant. They are like the essence of the plant and they protect the plant. They protect the plant from fungi, insects, predators, from bacteria as well. Essential Oils are the life essence or the blood of the plant. In general, they inhibit toxin accumulation and discharge them from the liver or kidney. They are anti fungal. They have a calming effect, anti-inflammatory effect, antibacterial, antiviral effects.Lavender oil itself has 40% linalyl acetate, which is a ester. In the properties of linalyl acetate, lavender oil is really good for sleeplessness, restlessness, or anxiety. They are considered as expectorant, antiseptic, and anaesthetic. Most Essential Oil companies will have the chemical compounds of each Essential Oil outlined and often can make recommendations for its optimal usage. There are books that have made recommendations of which oils are appropriate for specific purposes. 1. Essential Oils are indeed medicine. It’s really important to understand that you need to take them with some knowledge and understanding of how to use them. People need to educate themselves before they start ingesting or using in their homes. 2. Essential Oils are made up of minute molecules. 3. Essential Oils affect the Limbic System. Limbic system is a part of your brain that sits on top of your brainstem and it contains the four major components – hippocampus, amygdala, thalamus, and hypothalamus. The limbic system in your brain is in charge of your emotions. It is part of that area that regulates your atomic nervous system which regulates the fight, flight, freeze functions. Essential Oils actually are one of the few things that are able to pass the blood brain barrier and are able to enter the body in a different way. Essential Oils, through inhalation, can actually reach and positively affect the limbic system. This is why they’re so powerful for emotions – emotional healing, emotional shifting. It can give you an immediate natural lift. The olfactory system has 10,000 more power than on some of your other senses. You can positively impact your limbic system, which is in charge of your emotions, by inhaling Essential Oils. The best place to apply is at the bottom of your feet, behind your ears and also onyour wrist. If you tend to have sensitive skin, it would be advised to use a carrier oil (coconut, olive oil) to dilute a few drops of the pure Essential Oil and lower its potency. You can take a few drops on your palms, rubbing it together, and taking 3 breaths. You can diffuse these oils into the air without needing to apply it directly on yourskin. Adding a few ounces of water to 3-5 drops in a diffuser it can give a pleasant aroma to your home. Don’t go overboard on ingesting Essential Oils. There are certain companies that have been approved by health Canada for essential oil digestion. You can do a personal research to know which of those Essential Oils brand are safe to ingest. It is very important to do some research and find out which Essential Oil is deemed safe for ingesting vs. a topical application. You have to be careful with Essential Oils in terms of mosquitoes because some of them repel mosquitoes while some of them attract mosquitoes. In terms of repelling mosquitoes, you can burn citronella to make citronella oil. In general, citrus oils are insect repellent. However, with any sort of citrus oil, if you apply it topically and go out in the sun it will cause a negative reaction. There is a skin sensitivity that you can experience, almost like a burn so you have to be very careful with citrus oils on topical application. A carrier oil is advised to lessen the potency of the citrus oil. * What do you know about adrenal fatigue? From a personal experience, nutmeg oil is very good for adrenal fatigue. You can rub into the inside of your cheeks or apply it right on your lower back or kidney area. So if you’re feeling stressed, fatigued all the time get your adrenals checked out. * Is lavender oil safe for a very dry skin? Lavender is very good for very dry skin. And if you like the smell of lavender, you can add a little bit of it to your lotion, to oil, and apply it on your skin. The other thing about dry skin is to look at your diet. Make sure you are getting all the essential fatty acids in your diet because dry skin and skin issues are really a liver condition. * Can I reduce my back pain using lavender oil? Yes, it is possible for lavender to reduce back pain because lavender is actually the Swiss Army knife of Essential Oil. It is good for range of things. You can mix lavender with some oil and it will heal your sunburn. If you get a cut, sore back, or having a problem with sleeping, you can use lavender. 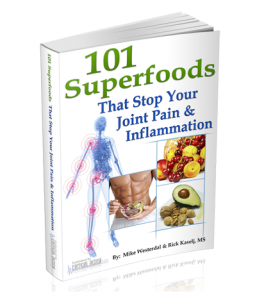 * What are some suggestions for Inflammation? There are a few different oils that are very good for inflammation and one of them is helichrysum Essential Oil, which is also good for dry skin. Excellent for inflammation of the muscles and joints, skin inflammation, wound healing, allergies. Frankincense oil, on the other hand, is overall a phenomenal oil. Wintergreen Essential Oil is also something I have used and is very good for inflammation as it also has that cooling effect, but just don’t ingest it. It is also relatively affordable and easily accessible everywhere.